RuneStorm • View topic - Ronon Dex Gun? Post subject: Ronon Dex Gun? Can someone make Ronon Dex's Gun(Particle Magnum) from Stargate Atlantis? It has 3 Fire Modes: Amber = Stun, Red = Kill, Green = Incinerate. Post subject: Re: Ronon Dex Gun? 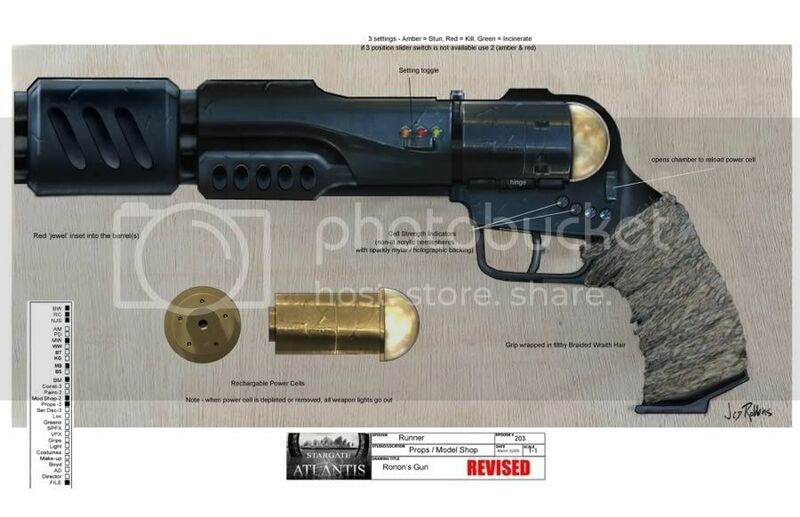 Stargate Atlantis Hero Ronon Dex Blaster Prop with Light up Power Cell. Thanks for the photos man really cool dex's gun.